Blomidon Estate Winery | Halifax Seaport Farmers' Market Ltd.
Blomidon Estate Winery is a boutique winery nestled on the shore of the Minas Basin, near Canning, in the picturesque Annapolis Valley of Nova Scotia. Our beautiful seaside setting offers a unique location for viticulture, as well as a scenic stopping point for our many visitors. 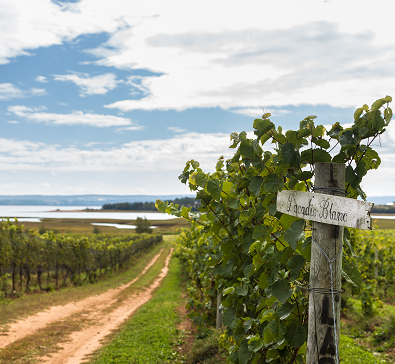 We are committed to producing 100% Nova Scotian grown grapes and wines, and are proud to have won numerous national awards and acclaim for our efforts.